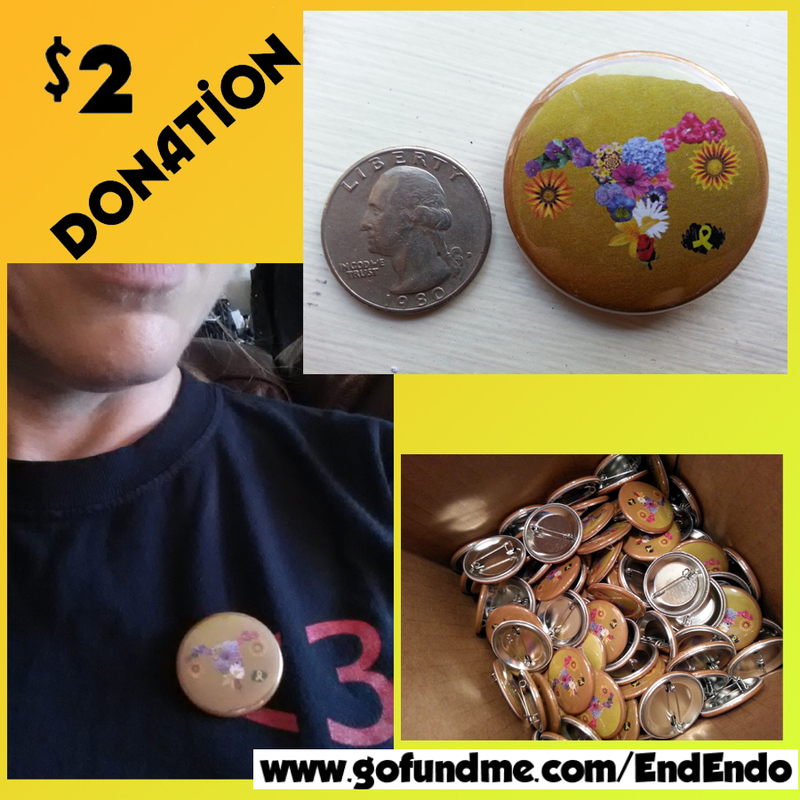 Fundraiser by Lisa Drayton : Lisa's "End Endo" Campaign! As many of you know, I was diagnosed with Stage IV Endometriosis on June 30, 2014, after undergoing a routine surgery to remove cysts from my ovaries. The Endmoetriosis growths were cut out of my body. I underwent a second surgery on September 21, 2016, to remove them once again. What is Endometriosis? It’s an incurable condition that causes infertility, chronic inflammation, internal bleeding , internal scarring, and a lot of pain. It affects over 176 million women and girls worldwide, 8.5 million in North America alone (stats from Endometriosis Foundation of America). There is no cure. More information (and the science-y stuff) can be found here . Bloomin' Uterus buttons are here! If you'd like, a $2 donation secures you a button! If you'd like more than one, it's just an additional $2 per button! All monies raised are immediately donated to the Endometriosis Foundation of America (EFA), a non-profit organization which raises awareness and research funds. I'll email you asking for your mailing address after you purchase one! What's this Bloomin' Uterus business?!? My nurse once described Endometriosis like crabgrass...it just lives there and grows and grows and grows, despite how much you cut it out. So I felt disgusting and gross on the inside...until I created the Bloomin' Uterus! A fun coping mechanism, and spreading Endometriosis Awareness along the way. March is the Endometriosis Awareness Month. 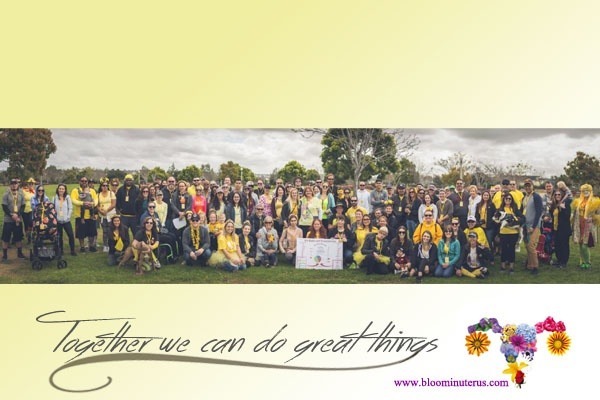 It’s a worldwide march to raise money in support of Endometriosis awareness and fund research efforts to find a cure. This walk is not affiliated with any organization or other event; this is purely friends coming together to raise money, awareness, and show support. 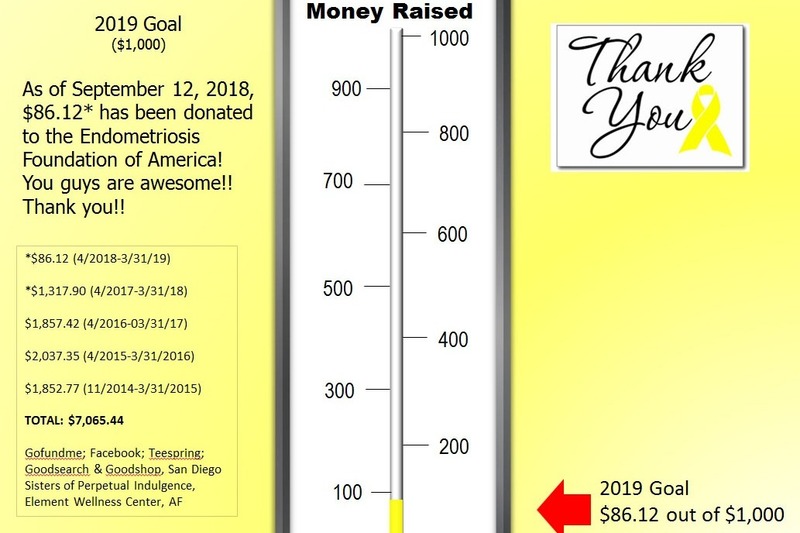 In 2018, we raised $1,317.90 for the Endometriosis Foundation of America and had 120 walkers! Our 2017 walk raised $1,857.42. Of that $76.67 was from t-shirt sales, $115.75 was from the San Diego Sisters of Perpetual Indulgence fundraisers, $250 was from the Element Wellness Center fundraiser, and $1,415 was from Gofundme donations! Also, one of our walkers, Allison, raised an additional $135 for the E.F.A. with her own gofundme fundraiser! Thank you EVERYONE! Rather than start a new fundraiser page for 2018, we simply increased the goal of this by $1,200. Our 2016 walk raised $1,966.00 (gofundme.com), $28.00 (goodsearch.com), and $43.35 from t-shirt sales (teespring.com), totaling $2,037.35 for the Endometriosis Foundation of America! Rather than start a new fundraiser page for 2017, we simply increased the goal of this one to $5,000. Our 2015 walk raised $1,765 (gofundme.com), $16.81 (goodsearch.com), and $70.96 (teespring.com), totaling $1,852.77! My name is Lisa. I'm a typical happy-go-lucky, crazy, young woman. 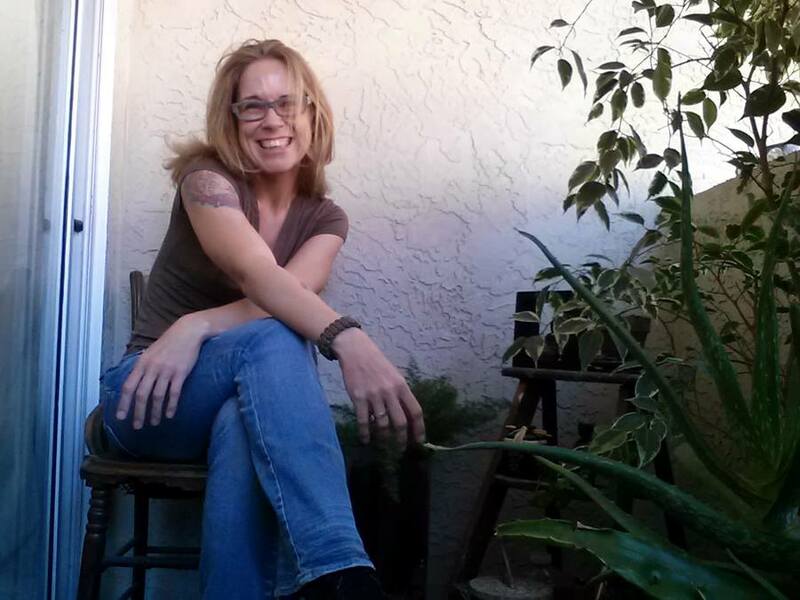 More about me and my journey with Endometriosis can be found at http://bloominuterus.com/2015/02/27/share-your-story-lisa/ . I had NO idea I had it. My Endometriosis flares up during my monthly cycles: unbearable pain which knocks me out of commission for a day or two. I had NO idea my pain, bloating, and cramps were abnormal. I’d been told by countless friends, family, and physicians that it was normal. “Take Midol,” they said. “Use a heating pad,” they said. “Take this prescription pain killer,” they said. “You’re exaggerating…,” they said, and “You’ve got a low pain tolerance.” So, I listened. I accepted that I was one of those unlucky women to have severe pain during my cycles, while other women had none. I took my pain killers, and endured those side effects as well. I've since had subsequent surgeries: one in 2016, one in July of 2018, and another in November of 2018 . The most depressing thing I learned since my surgery? The implants and adhesions will likely come back. I lasted 2 years between each of my surgeries. Hoping I last longer this next time around. And there is no cure. And I am so grateful for the love and support of my family and friends. You guys have been amazing during this time. You know who you are. And I love you all deeply. We did it! 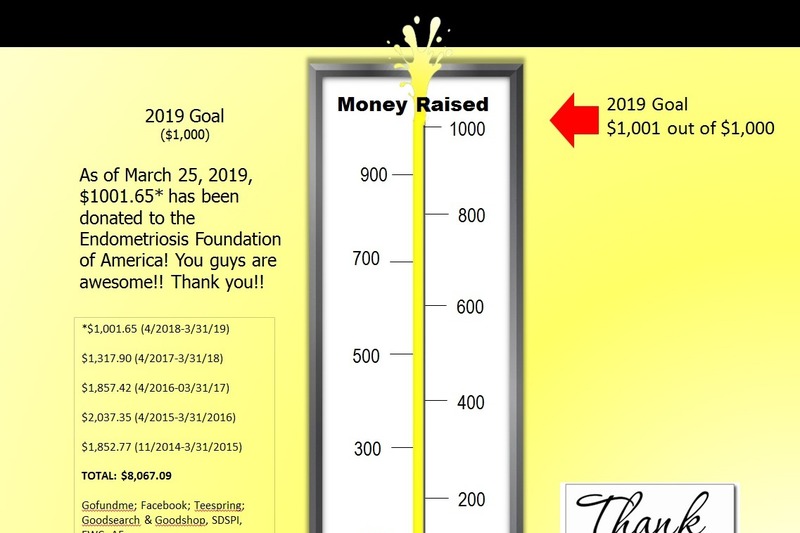 Thanks to your generosity, we made our 2019 goal of raising $1,000 for the Endometriosis Foundation of America! Thank you to all of our generous supporters!! Our walk is in just a few days and we couldn't be more excited!! THANK YOU! One day there WILL be a cure! 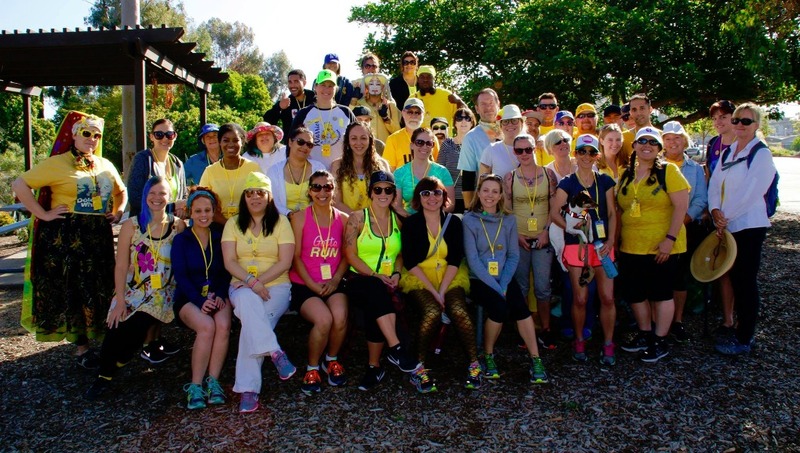 As you know, our annual Endometriosis Awareness & Support Walk is March 30th. That’s two months away! What do I need? 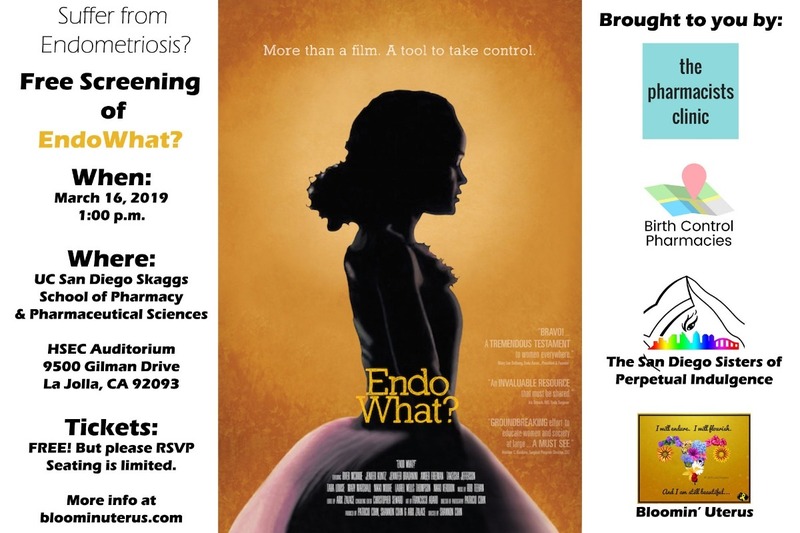 If you know someone with Endometriosis (or have it yourself) and want to come, please join us! Be sure to register for the walk. It’ FREE, but registration is mandatory so we don’t overstep our body count limit. This year we’re permitted for up to 300 people! We’ve already got 83 registered walkers! If you’d like to register, please fill out this form. You’ll receive a confirmation email directly in a day or two. 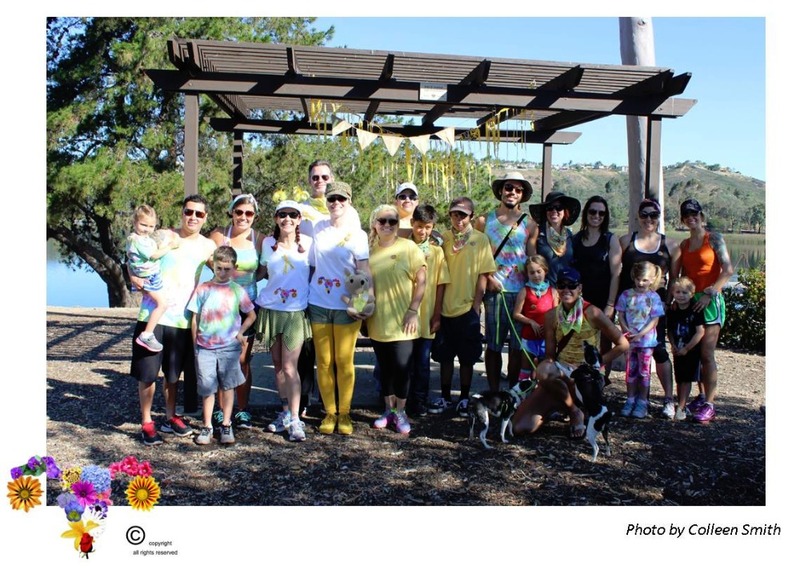 https://bloominuterus.com/2019-endo-walk/ The walk will take place on March 30, 2019, from 11am to 2pm at NTC Park at Liberty Station. Come support the EndoWarriors you love, come meet EndoSisters, come learn how others cope, Warriors and Caregivers alike. If you don’t walk to walk with us, or can’t, you can still help! We’re taking donations for the Endometriosis Foundation of America. Every little bit helps and they’re a great organization to forge ahead with research and outreach. https://bloominuterus.com/2019-endo-walk/ . A donation of $2 gets you a Bloomin’ Uterus button, too! 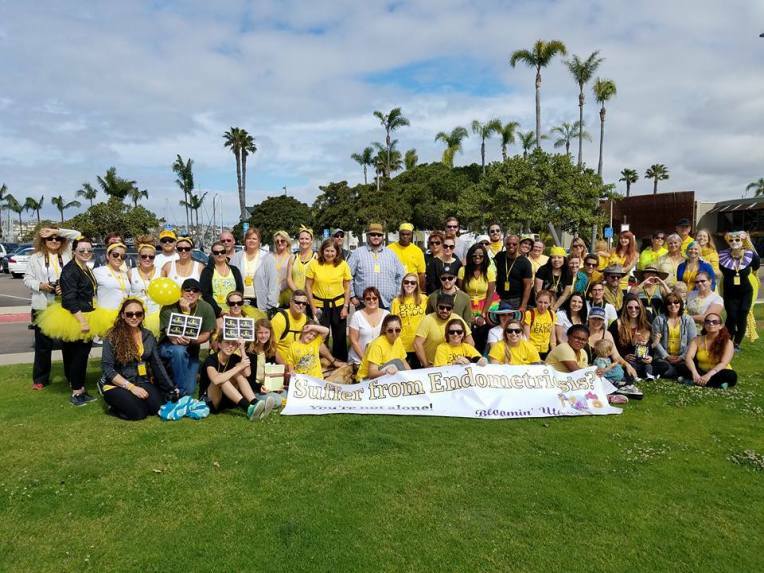 Our 2019 Endometriosis Awareness & Support Walk is official! The City of San Diego approved our permit today! We have room for 300 attendees and our goal is to raise $1,000 for the Endometriosis Foundation of America! Share with your friends, feel free to donate, and if you'd like to come, COME! Way to go Kiddo! I'm glad your team is doing what you set out to do. "Goals Exceeded!" I'm doing good w/ my recovery from my transplant, too. Get tired easy so I'm taking it easy. No towers this year either. Keep on marching!!! Congrats Lisa! I am sure you will hit your goal. My surgery is tomorrow. I hope you and everyone else on here continues to have success with keeping endo at bay! So I just wanted to share an update with you. Two weeks ago I got a new Dr who understood everything I was saying and was happy I had already made an app with another Dr farther away who has experience in endo and laparoscopy surgery. So she decided to help put together as much info about my problems as she could and, after a pap smear and tests, she made an app for me to have an ultrasound the Thursday before Thanksgiving. After my ultrasound I began to have worsening pain through the weekend. So the following Monday morning I called the Drs office and they had me come in asap. After listening to me and calling the other Drs office they scheduled me for surgery that evening with another Dr who was available with the same experience. Apparently, during my ultrasound my ovary had got slightly twisted and the blood flow was being cut off. I didn't even know that could happen. So I am now recovering and getting back to my old self. I can even eat the foods I want. :) The problem was a 5-inch mass of endo in my right ovary so they removed it. I think it's a miracle that it wasn't anywhere else, though I do have a cyst (about 1 centimeter) in the left side of my uterus they said shouldn't be a problem, but will keep an eye on in the future. I just can't wait to get completely healed. There's still a lot of gas moving around in me that's causing pain. The next step: birth control. I found out I had endometriosis when I had to have emergency surgery for a tubal pregnancy. Although I have had very painful periods since they first began, I was able to have 3 healthy children. When we tried for a fourth, though, nothing happened. After 5 yrs of not getting pregnant I had the tubal that ended up explaining everything. For a few years everything seemed fine, but I still couldn't get pregnant, I began having pain around my gallbladder area. Within a year it spread to most of my right side. Then abt a year or less from then (about 4 months ago) I was in extreme abdominal pain and swelling almost all the Tim. The Dr xrayed me 2 or 3 times and said I was constipated even though I had told him about the endo and had no problem going to the bathroom. During this time I was sent an email about endo which gave me a link to 5 'trigger': red meat, gluten, dairy, caffeine and alcohol. That day I stopped all of those and was pain-free within 24 hrs. Since then I have found that red meat and non-gluten alcohol is ok, but I still limit them. 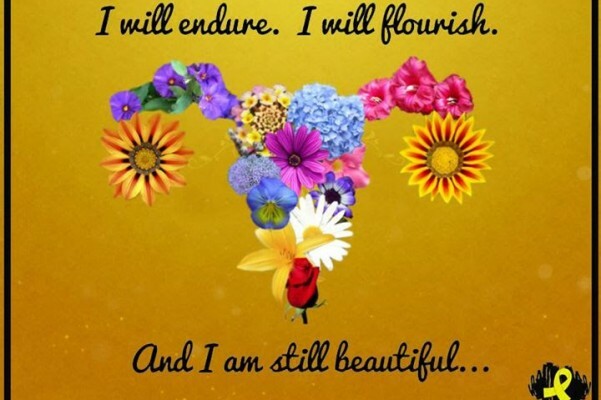 My cramps can still be pretty painful, but I know it's because of the endo that is in me. I know I need surgery, but I know this keeps me mostly pain-free and no swelling for now. I try to tell everyone about these triggers when I can because I know what the pain is like and pain meds can only do so much especially when you have a full-time job. The 'diet's' not easy, but it can help more than some of you can imagine. I would like to purchase 2 of these. My daugher has endo. In support of Melanie and a cure for Endo. For myself and for all the women who are battling this. For the hope of a cure. For my daughter and endo awareness!! I beleive in what you do..! !